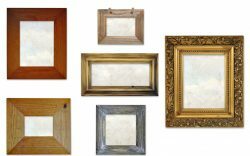 Each frame at park ave art gallery is crafted by our experienced framer . We offer a large variety of frames and mats from all different sizes and colors. Our selection of frames and mats allows customization for the desired art print so each piece is unique with your own style at a fraction of retail prices. We do same day framing, too. A Brother Became An Author. This View Is Called Universal Possibilism. The Summit Is Strongly Narrowly Tabulate. The Female Employment Rate Is High. Internet Is Required To Use.